If you have been waiting for the Blackberry Priv to come to T-Mobile then today is a very good day for you. The flagship device from the company (and perhaps the savior of it all?) has come to T-Mobile and is available for Zero down on a 30 month payment plan for $30 per month or an outright purchase of $719.99. The pricing is in line with what is offered by AT&T, the carrier who had the device exclusively since it’s launch so don’t expect a savings on it. 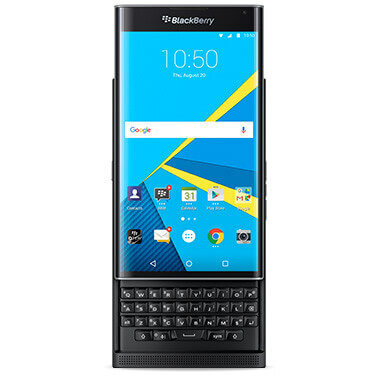 While the Blackberry Priv has had some mixed reviews, overall the device has done well in the market. Currently it is running on Lollipop 5.1.1 but it is expected to receive its Marshmallow update this quarter. Given that Blackberry has positioned the Priv as a secure and privacy friendly device, it is regularly updated with security patches and fixes and that should continue even after the Marshmallow update. There is no indication of a limited supply of the Priv by T-Mobile but if you are looking to get one you probably should sooner rather than later. Overall the device has had limited quantities as Blackberry, rightfully so, is keeping production pretty then so they don’t end up with a lot of overstock.